The problem of constructing attraction sets in a topological space is considered in the case when the choice of the asymptotic version of the solution is subject to constraints in the form of a nonempty family of sets. Each of these sets must contain an “almost entire” solution (for example, all elements of the sequence, starting from some number, when solution-sequences are used). In the paper, problems of the structure of the attraction set are investigated. The dependence of attraction sets on the topology and the family determining “asymptotic” constraints is considered. Some issues concerned with the application of Stone-Čech compactification and the Wallman extension are investigated. 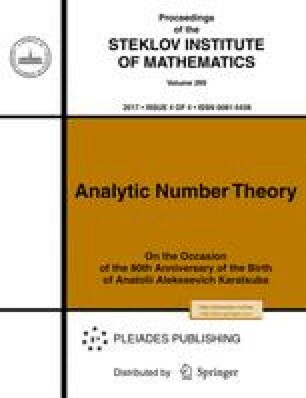 Original Russian Text © A.G. Chentsov, 2006, published in Trudy Instituta Matematiki i Mekhaniki UrO RAN, 2006, Vol. 12, No. 1.